It can be argued that the defining summer event is the Fourth of July—the day that celebrates the independence of our great nation! In Washington State, you’ll find celebrations for this American tradition thriving. From fairs, to firework displays, to fun-filled festival, these excellent events make for a perfect Fourth of July in Washington. If you’re looking for a place to spend the Fourth of July, look no further than Tacoma! The Freedom Fair, an annual fair occurring for the past 40 or so years, has much to offer any fair goer. The event taking place on July 4 includes sights such as an air show, car show, live entertainment on their seven different stages, and of course, fireworks! SeaFair is another great way to spend the Fourth of July. With this one-day event in Seattle, located at Gas Works Park, the day will be packed with things to do for everyone, and fireworks voted some of the best in the nation. The event is filled with food venders, exhibit booths, live entertainment from the main stage, such as SassyBlack, Freddy Pink, Caspian Coberly Band, Tekla Waterfield, and many more. Admission is free so guests are more accommodated to enjoy the food vendors and those of age can enjoy beer and beverage gardens. What better way to spend the Fourth of July than at a parade? Well, in Kirkland, you can do just that! This year’s theme is, “Celebrate Kirkland, United we Stand!” The parade is an all-day event, with multiple different types ranging from a children’s walking parade, to an old fashioned one as well. The festivities don’t end there though, there is also a children’s decorating event with flags, tattoos (don’t worry parents, they’re temporary), and more family fun, as well as a music in the park to end the parade, with fireworks to end the night. Another place to go for some great Fourth festivities is Bellevue, a tradition of 27 years. 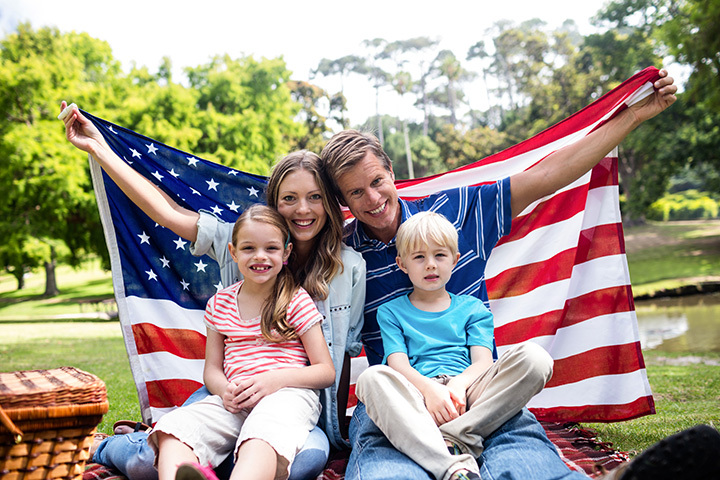 This year their “Bellevue Family 4th” will be occurring at the Bellevue Downtown Park. Lots of music, entertainment, family fun, as well as fireworks co-occurring with Bellevue Youth Symphony Orchestra sets the stage for this day of fun! Auburn, Washington, can hold its own when it comes to Fourth of July celebrations! With festivities located in Les Grove Park, you can’t go wrong. The day starts with a bike parade, and goes on to feature to different stages for entertainment, arts and crafts areas, a car show, and multiple rides and other fun activities like a rock wall for all to enjoy! This year, the 32nd Annual River of Fire Festival will be held in Columbia Park. This festival, located in Kennewick, focuses on entertainment as well as heritage enrichment, as there will be a photo booth for pictures with historical characters available. This Fourth of July, Spokane will also be hosting its own celebration, throughout downtown. At Riverfront Park there will be food, music, and group performances, all in anticipation for nightfall when the fireworks begin! The event schedule is jam packed, a magic show followed by a hypnosis show, live music from the Spokane Jazz Orchestra, a kids area, and for the adults a beer garden. Top it off with food from some of the best food vendors in the area such as Azar's Greek Food and you’ve got yourself quite the night! Independence Day at Fort Vancouver is taken very seriously. This year, the fireworks display, in synchronization with music, will be held at Pearson Airfield. The event is free of charge and sure to impress. The experience is in the crowd, so bring your family, and set up a nice location for you all to hang out for the evening or whole day! Come enjoy the Fourth of July in Yakima, at their Yakima 4th of July Festival! The festival, to be held at the State Fair Park, features a carnival with a myriad of rides for everyone, as well as live entertainment, including “Yakima Apple Jam” Battle of the Bands contest! There will also be a beer garden for the older crowd, of course, the night will finish with a firework display. View more Washington July 4th Fireworks and Celebrations.